ChargeIt by Jay Red Pebbled Round Melamine Charger Plate 13"
Home > Products > ChargeIt by Jay Red Pebbled Round Melamine Charger Plate 13"
Set a vibrant table with the ChargeIt by Jay Red Pebbled Round Melamine Charger Plate 13". 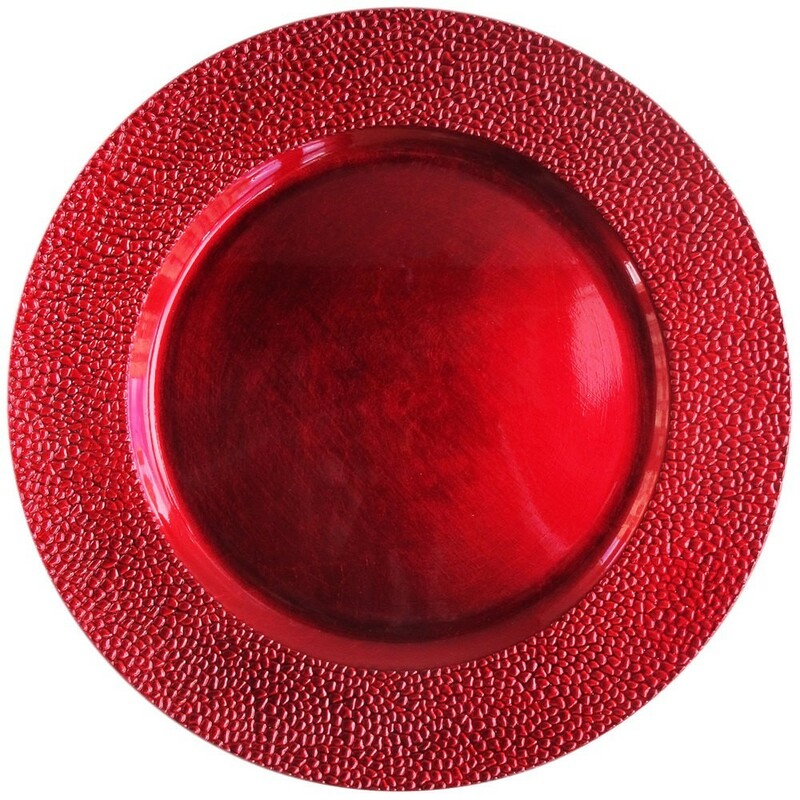 Perfect for adding a pop of color to any setting, this red charger provides a striking backdrop for dinner service while its unique pebbled rim offers a stylish, textured feel. Made from premium quality melamine, this charger plate boasts a delicate look that belies its exceptional strength and durability. Perfect for multi-course meals, this charger plate has ample space to accommodate any size plate and provides protection against spills and mess that might otherwise stain your tablecloth. To retain its color and luster, hand washing is recommended.